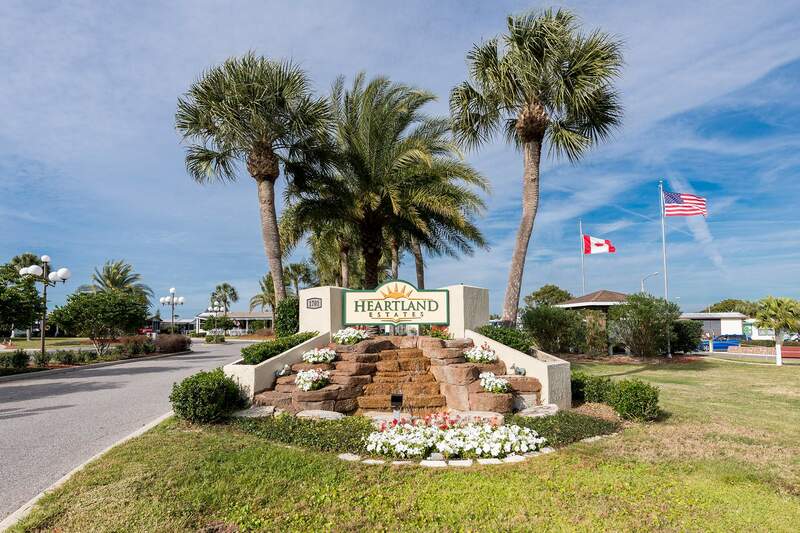 Heartland Estates is a 55+ manufactured housing community, nestled on a ridge, overlooking Lake Hester in central Florida. Our community is about one-half mile west of U.S. 27, the principle north-south artery through Florida, and about 8 miles south of I-4. Heartland Estates is in the middle of the Florida peninsula. Citrus, palm and oak trees with flowering plants and ornate shrubs decorate the grounds. When entering our community, greeting you will be our landscaped boulevard, waterfalls and sabal palms. Flag Island overlooks Lake Hester and the recreation complex. Lake Hester, approximately four acres in size, with its wildlife provides a picturesque scene from the sundeck of our swimming pool. Bass, crappies, and bluegills can be caught from the shore or from a small boat, which can be launched directly from the bank. Easy access exists from the clubhouse to Lake Hester for strolling, relaxing, jogging, or carefree fishing along the shoreline.